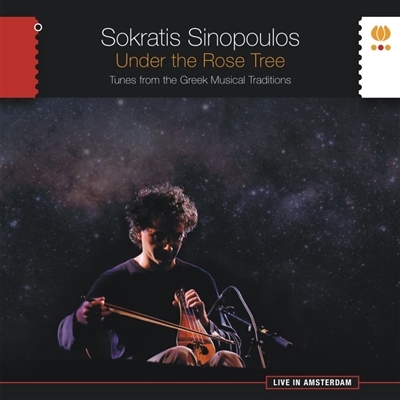 A wonderful collection of songs from the Greek musical traditions, played on the lyra. The beautiful arrangements cross the borders with jazz and other styles in a very natural way. Sinopoulos is equally comfortable crossing genre boundaries into jazz and classical, as he is to staying true to folk traditions of Greece and Eastern Mediterranean. He encourages his musicians to improvise freely and find musical common ground rather than trying to adhere to any specific genre of music. The twelve tracks on this album are all traditional and arranged by Sinopoulos. The album was recorded live in Tropentheater (Amsterdam) in 2010.